If you’re looking for the ultimate in Orlando Industrial Freezer sales and services, call the professionals at All Temp AC and Refrigeration—we offer a wide range of equipment and services designed to meet any cooling and/or freezing needs you may have. 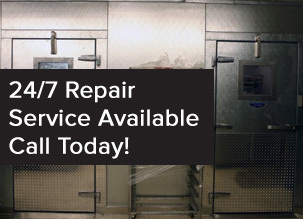 Whether you’re looking to purchase or need service for a walk-in freezer at your restaurant, hotel or other eatery, we can get you what you need, or build it ourselves. We also have the technical expertise, experience and tools necessary to service or maintain whatever type of industrial freezer you may already have. Florida is not kind to freezers, industrial or otherwise. The high temperatures and humidity levels force motors and compressors to run nearly non-stop, shortening the life of components. Periodic maintenance is the only way to keep them running—for that reason, we offer custom designed maintenance agreements suited for your unique needs. From testing and adjusting, to replacing parts to interior cleaning—our technicians know how to keep your equipment running optimally, saving not only on repair costs and down time, but with utility bills. 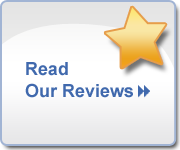 We also offer a 100% money back guarantee on everything we do. If you have a unique need, our Industrial & Process Type Refrigeration cooling experts can work with you to design, build and maintain virtually any type of freezer, from food storage to process support for applications such as stress relieving, age hardening, expansion assembly or martensite. In addition, if cost is an issue, we have several payment options available including: 0% financing, 12 months same as cash, up to $1500 in cash-back rebates on 16 Seer and above units, equipment leasing and rent-to-own programs. For the best in Orlando Industrial Freezer sales and services, call the cold storage experts at All Temp AC and Refrigeration—or make an appointment with us right here online. Customer satisfaction is our goal and that means providing clients with expert, timely and personalized cooling services, we want to keep you as a long-time, satisfied customer.